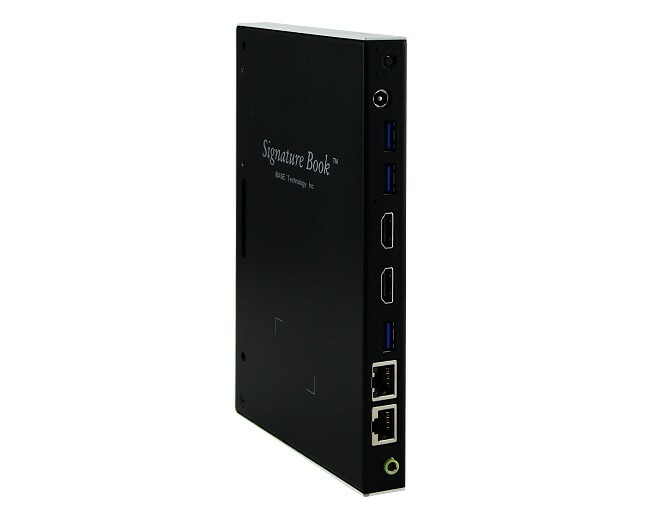 The SE-102-N is an ultra slim, fanless digital signage player that measures only 19.5mm thick. The media player enables the retail, food and hospitality segments to deliver compelling and valuable content in dual high-definition HDMI displays to targeted audiences in outdoor environments. It has been tested to pass extended operating temperatures (-40°C to +70°C) and meet extreme system reliability requirements that allow its deployment in a wide range of harsh indoor and outdoor environments. The fanless and noiseless system comes on board with a lower-power Intel® Atom™ x7-E3950 @ 2.0GHz quad-core processor with an Intel® HD Graphics, which combines efficiency and excellent performance, ensuring industrial-grade reliability for stable operation. 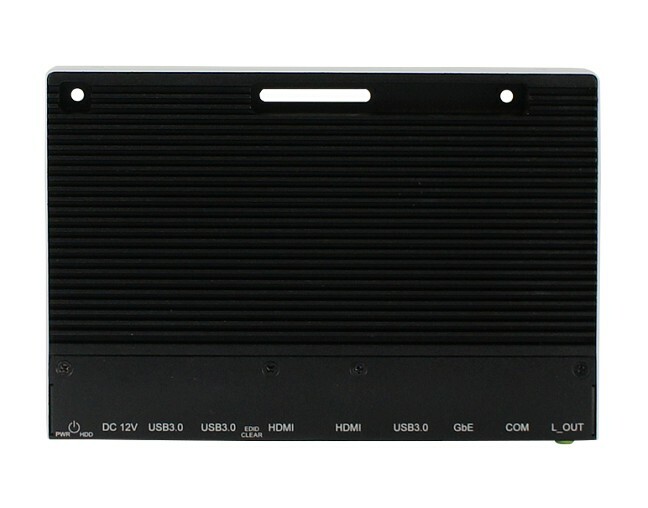 It has two dual-channel DDR3L-1866 sockets to provide up to 8GB memory and 64GB mSATA SSD for faster system boot and low heat emission. 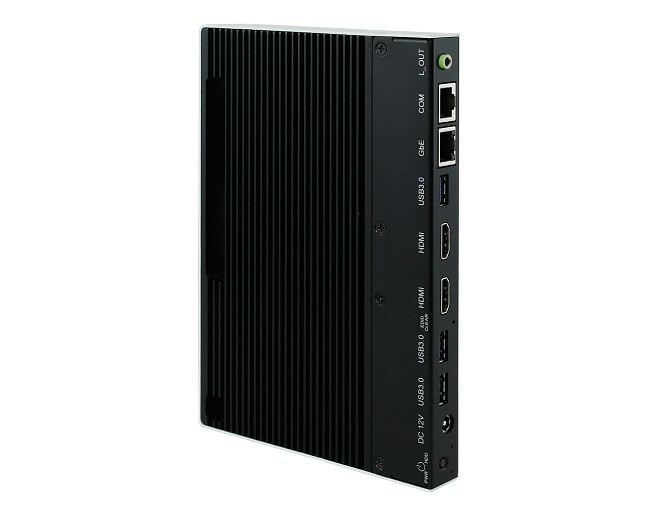 The SE-102-N’s super-slim chassis can fit into the tightest spaces behind displays and offers an array of connectivity options including a Gigabit Ethernet, audio, USB 3.0 ports, and two HDMI interface supporting 4K UFD resolution. Powered by a 60W adaptor, the SE-102-N also has a Mini PCI-E slot for optional WiFi, Bluetooth, 4G and video capture functions. The player has two HDMI outputs together supporting independent audio outputs, as well as built-in hardware EDID (extended display identification data) simulation to prevent screen convergence problems and issues due to cable disconnection or failure to identify EDID. It also comes with IBASE’s unique iSMART intelligent energy-saving and Observer monitoring technologies that feature automatic power on/off scheduling, automatic power recovery, low temperature boot protection and hardware monitoring. 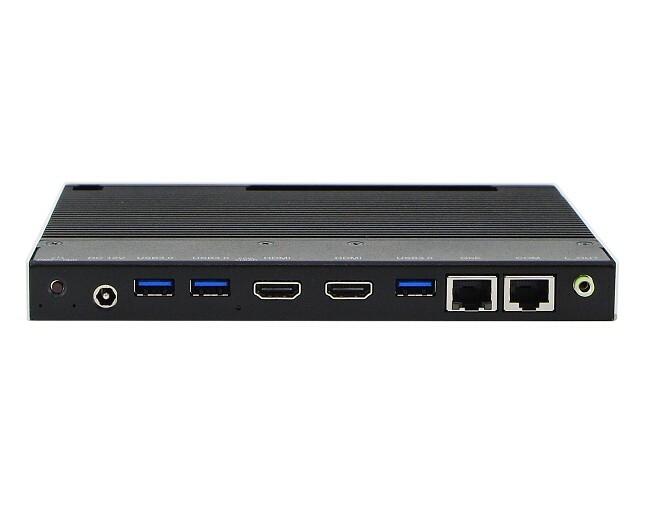 SE-102-N Signage Player with Intel® Atom™ x7 / E3950 (1.6~2.0GHz), 1x 4GB DDR4 SO-DIMM RAM, 64GB mSATA, and 60W power adaptor. 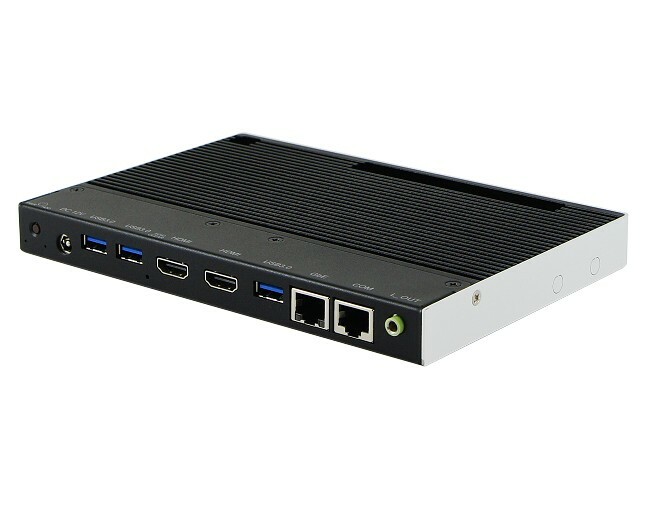 SE-102-N420 Signage Player with Intel® Pentium® N4200 (1.1~2.5GHz); 1x 4GB DDR4 SO-DIMM RAM, 64GB mSATA, and 60W power adaptor.